Welcome to a huge cultural inheritance sitting on the shoulders of a land of great beauty—Udupi. We are not talking about the south-Indian food chain across India but to the land of great stories, temples, and beaches. Udupi is a beautiful integration of nature and man. Located in the state of Karnataka and between the glorious mountains of the Western Ghats and the beautiful Arabian Sea, Udupi is also known as Parushurama Srishti. One of the most popular legends about Udupi is about Kanakadasa, a great devotee of Lord Krishna who has turned away from the Lord’s temple. It is said that as Kanakdasa went to the back window of the temple to catch a glimpse of the Lord, the idol turned to face him. 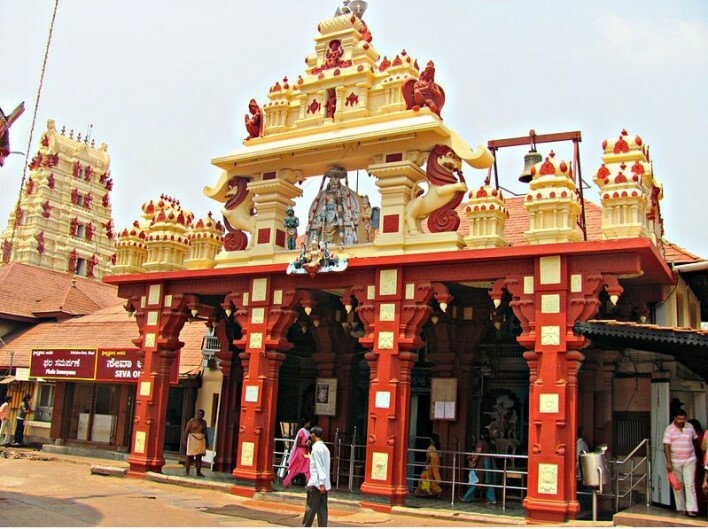 This temple today, known by the name of Kanakanakhindhi is a famous spot in Udupi. Udupi also houses the educational hub of Manipal which is thronged by students from India and abroad. Sri Krishna Temple: The best time to visit the town is between the months of Oct-March. The main attractions of Udupi are the temples and the beaches. The first among them is the Sri Krishna temple which is a main mutt in Udupi. The temple is coordinated and managed among 6 mutts in total. There is a Paryaya festival held every two years at the Krishna temple which is a delight for the tourists to partake in. There are other temples like the Anegudde Vinayaka Temple, the Ananteshwar Temple and the Chandramoulishwar Temple for the pious devotee in you. But Udupi has a fun side as well and with it comes the beautiful array of beaches like – Kapu, Mattu, Kodi, Kadike and the Polipu beach. These are quiet, relatively unknown beaches which provide ample peace and act as a therapeutic stress reliever. The Malpe beach is beautiful for photography lovers to click pictures of the sunset with the background of St. Mary’s Island. 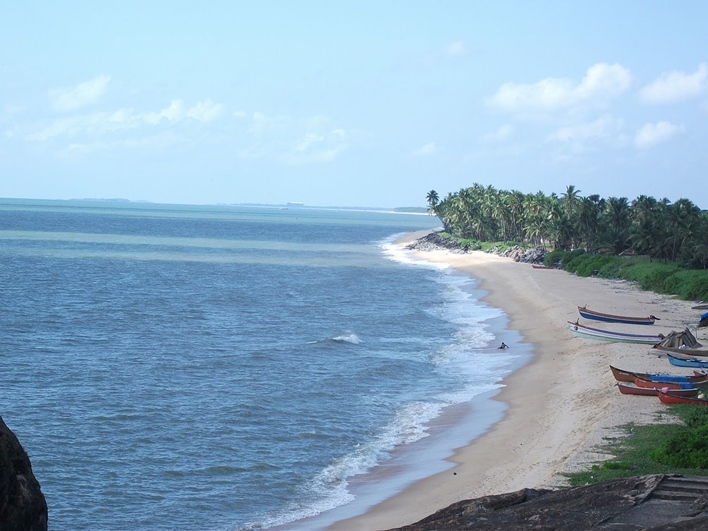 Islands like St. Mary’s and Udyavar Pithrodi is worth visiting at Udupi. It is said that Vasco da Gama, the Portuguese explorer discovered the island and claimed it in the name of Mother Mary. The best time to visit the island is during the evening via boats that run until 6 pm.One can stay at a houseboat to really enjoy the serenity and calmness of the waters at Udupi. Also, the dance and art performances like the Yakshagana, the Bhoota Kola and the Naga Mandala can be enjoyed. Basic knowledge of Kannada or Tulu might be required in some performances to truly appreciate the art. The village awaits art and heritage lovers with the traditional art and artifacts that pack in the aesthetic punch of the city. The visitors will get to see almost 26 heritage buildings restored to reflect their former glory at the Village. Last but definitely not the least on the list should be a visit to End Point in Manipal. To the West lies the Arabian Sea and the Western Ghats towards the east. The place is ideal for a visit to view the sunset and the trekking is a good option out there. The town is a well-connected hub which makes it easier to reach there via plane, train or bus. It is about 406 km from Bangalore, the capital city of Karnataka. Both government- KSRTC and private buses- Airbuses, Volvos ply on the NH-17 that passes by Udupi. The service bus stand at the centre of the city, and near Tiger circle at Manipal. The roads aren’t good enough to drive on your own. So one should either take a bus or hire a driver. The nearest airport to town is the Bajpe Airport at Mangalore which is about 50-60 km away. Direct and indirect flights can be taken from here to various cities across India. Come and spend a quiet getaway from the monotony of daily life and work. Udupi waits with its rich sights and culture and it promises to not disappoint.